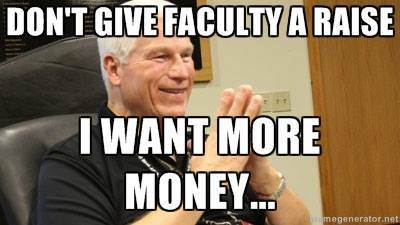 On January 22, the UCF Faculty Union, United Faculty of Florida, and the Board of Trustees reached a settlement of a 2% raise for all faculty. This is fantastic news! UCF SLAP supported the UCF Faculty Union’s campaign to secure a raise for the bargaining unit of “more than 1%.” In coordination with the United Faculty of Florida, SLAP worked to activate alumni supporters, attended the November impasse hearing, circulated a petition, helped promote tweeting #MoreThan1 during football games, and reached out to students to support faculty efforts. This entry was posted on Thursday, January 23rd, 2014 at 3:51 pm. It is filed under Blog. You can follow any responses to this entry through the RSS 2.0 feed.